Move over pitiful oven mitts. 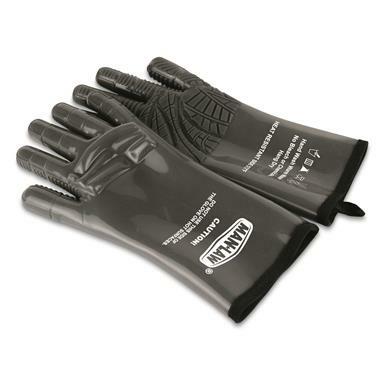 If you can't handle the heat, send in these MAN LAW® Gloves. They're armored in silicone to withstand temps up to 572°F. So grab that meat off the grill. Rotate that smoked brisket without worry. These Gloves got your digits. Easily cleans with dish soap.